Article originally appeared on The Town Dish. By Leigh Green. “Local,” “farm fresh” and “organic” may be food industry buzzwords these days, but at Kimberton Whole Foods, they’re founding principles. Since its inception in 1986, KWF has cultivated partnerships with area farmers, artisans and producers, whose products line its shelves. KWF proves the power of sustainable, transparent and local practice with its ever-growing base of family-owned community markets. KWF continues to flourish hand in hand with the local vendors it has always supported. We learned a bit more about how KWF keeps it local with a legacy of authentic farm-to-counter groceries. Also included is a special Q&A with KWF owner Terry Brett. Just how local are the KWF’s vendors? KWF defines “local” as anywhere within 100 miles from its distribution center in Downingtown. This includes Lancaster, Philadelphia and Harrisburg, the northern reaches of Maryland and Delaware and most of New Jersey. Within this region, KWF works with a group of more than 200 local producers who provide everything from meat and dairy to baked goods, coffee, spreads, pastas and even dog treats. By connecting to quality producers in the area, KWF increases its reach and strengthens the communities it serves. Unlike other retailers, KWF takes on the entire distribution process, allowing vendors to simply make one drop-off at the Distribution Center. From there, KWF separates and distributes goods to its six area markets. Becca Settle, director of marketing at KWF, explains that this allows vendors to return to the many demands of production. Besides saving time for its vendors, this method cuts down on the carbon footprint created by myriad trucks delivering to the same locations. KWF’s streamlined approach is simpler and greener. By buying and selling local products, KWF makes a direct investment into the local economy and the future of its community. Buying from local vendors not only retains cash flow and jobs, it promotes all around economic growth within that region. Studies have shown a multiplier effect of buying local. Successful local producers will spend money to operate and grow their business, which fuels other local businesses. As a community of businesses grows and thrives, their employees, in turn, increase spending within the community. A dollar spent on local goods carries far more value than its denomination would suggest. Additionally, successful local vendors can respond to other demands in the local economy. 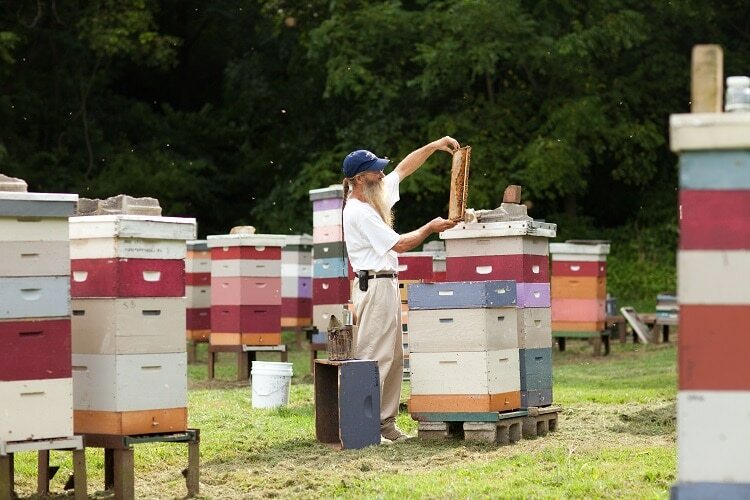 Dairy farms can open creameries, beekeepers can offer apiary classes and orchards can host seasonal festivities. KWF’s commitment to local vendors is a commitment to the people in its community for generations to come. Those in search of the freshest foods need look no further than KWF. It is estimated that the average American meal travels 1,500 miles from farm to plate. With its local vendors all within 100 miles, KWF curtails the commute of your food, increasing the quality and making a smaller footprint. 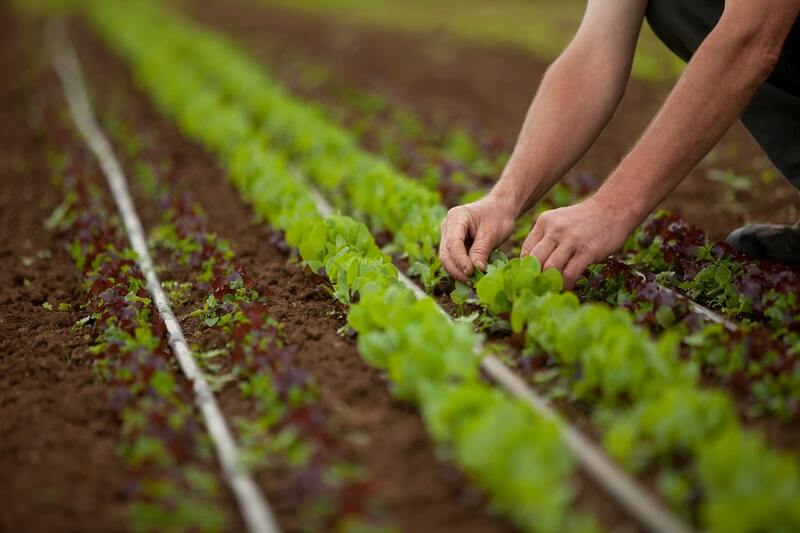 Local food is simply fresher, retaining the most vitamins and minerals and tasting better. Isn’t that what it’s all about? The Town Dish: Has supporting local always been KWF’s mission since its early days at the farm? 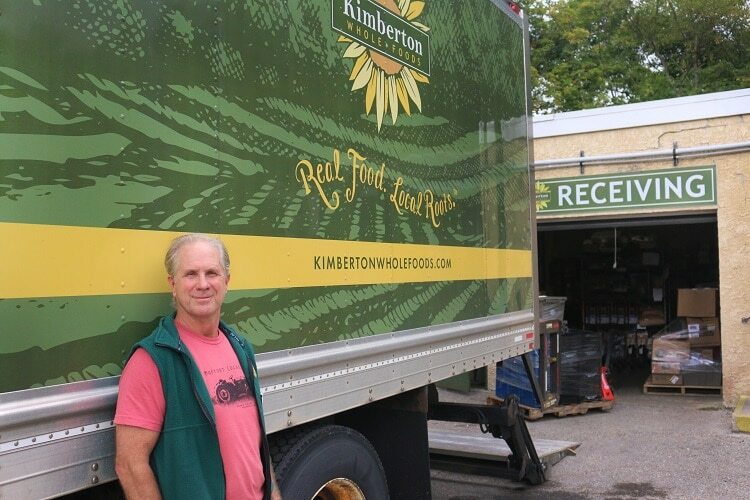 Terry Brett: Before we were Kimberton Whole Foods, we were a farm store at Seven Stars Farm. At our inception, the store’s very purpose was to support the farm. We eventually began bringing in local products from the Kimberton CSA and Camphill Village Kimberton Hills. Our local product selection grew once we moved into our current location in Kimberton Village in 1994. Describe the function of your distribution center and what service it offers your local producers. This warehouse facility gives us the ability to have a point of distribution for our prepared foods, dry goods and local products. 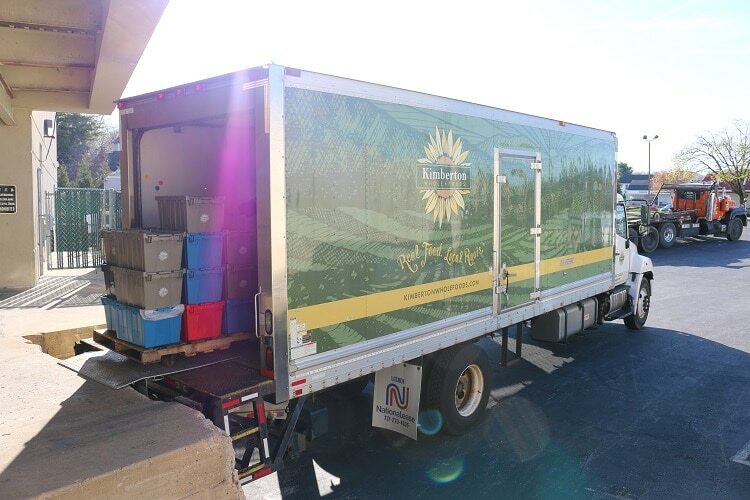 Dozens of local producers drop off at the distribution center, where we separate and deliver the product for them. For a small company, we have a highly efficient program. This is unlike most other retailers that require individual deliveries to each location. We believe our producers’ time is best spent on their craft—raising, roasting, brewing, baking, etc. KWF invests time and money into distributing local products for our local farmers, makers and bakers—why do you continue to do this in such a competitive market? We don’t mark up these local products because we’re trying to bring a better value to our customers. Our goal is to help our local farmers by selling more—and the best way to achieve that is to both pay the farmer a fair price and make the product affordable to our customer. KWF contributes annually to PASA (Pennsylvania Association for Sustainable Agriculture). Can you explain the importance you see in this nonprofit and how it relates to KWF? PASA organizes the educational opportunities so that farmers can learn how to be better at what they do. We give money to PASA so that they have the ability to do this for the farmer. It truly altruistic. That’s why we started—to support a farm. Since 1987, Seven Stars has been making old-fashioned, European-style yogurt in truly local, small-batch style in Chester County, Pa. This yogurt program was actually started by Terry Brett himself—in the late 1980s, he helped the farm launch yogurt as a value-added product. 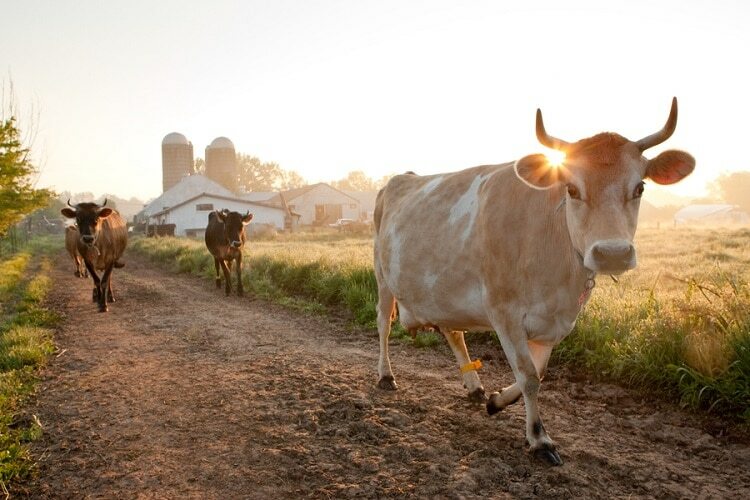 At Seven Stars, pasture-fed herds provide the key ingredient, and their unhomogenized, pasteurized milk is delicately flavored with organic maple syrup, organic vanilla extract, organic lemon extract and cultures. Located in Yellowhouse, Pa., Wholesome Dairy provides KWF with raw milk, kefir, yogurt and cheese. 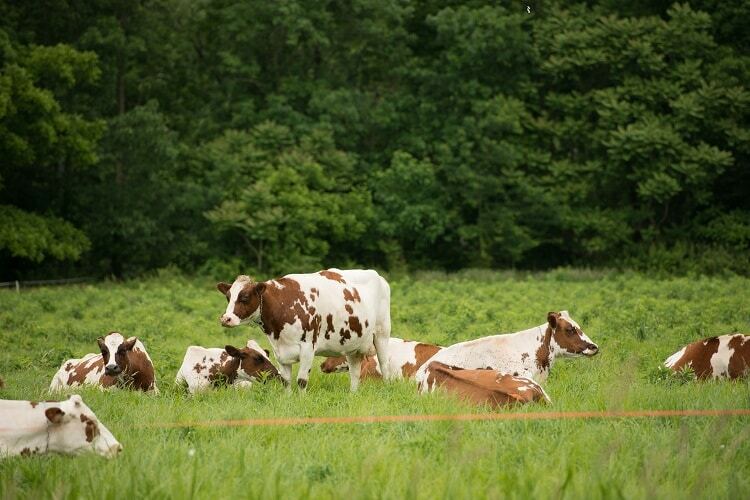 Wholesome cows such as Dottie and June are pasture fed, resulting in higher proportions of omega-3 fats in their milk. Additionally, the farm’s grass-fed dairy products have higher levels of conjugated linoleic acids, which are proven cancer fighters and help to ward off diabetes, atherosclerosis and inflammation, as well as promote lean tissue. Wholesome, indeed! 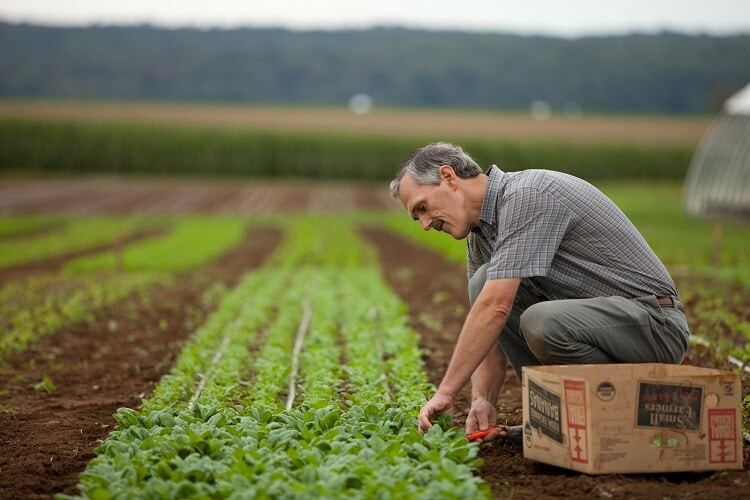 Less than 20 miles away from KWF in Paradise, Pa., Paradise Organics grows pesticide-free, certified organic produce. KWF has a longstanding relationship with Paradise and has offered its high-quality, scrumptious crops to customers for over a decade. As part of Camphill Village in Chester County, Pa., and a dynamic farming, gardening and handcrafting community of over 100 residents, Sweetwater produces breads and cookies from high-quality, fresh ingredients. 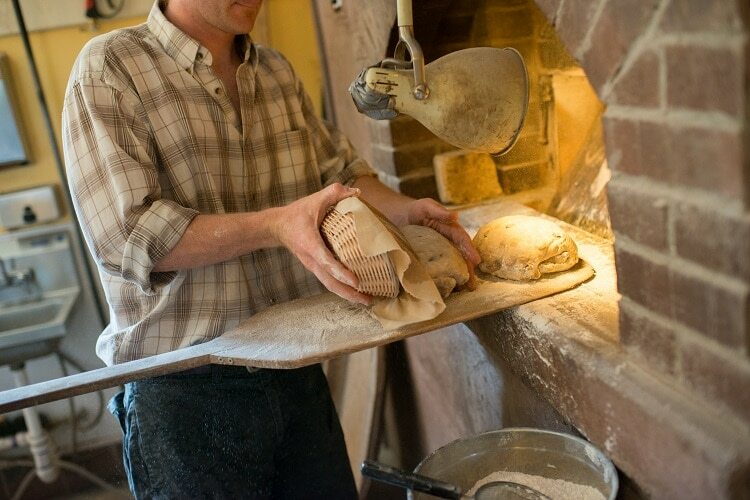 The bakery’s bread is naturally leavened, mixed and shaped by hand and baked in a wood-fired brick oven. 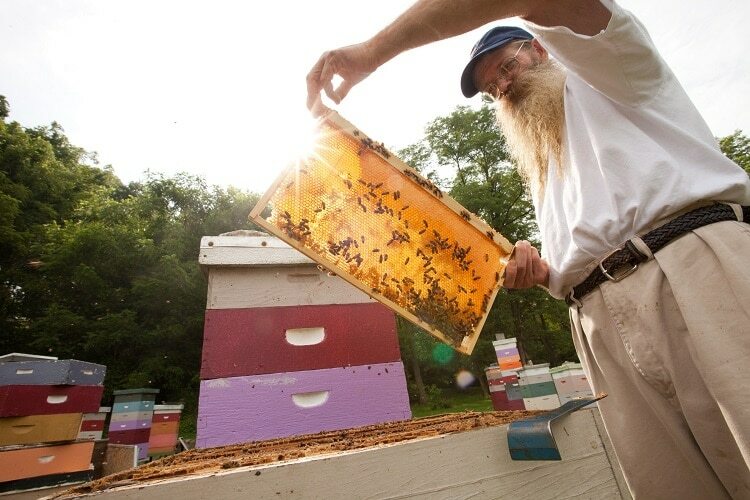 Swarmbustin’ is a buzzing hive—literally—in West Grove, Pa., that produces pollen, raw and flavored honeys, creme honey and immune-boosting propolis. Swarmbustin’ also acts as a resource for other local beekeepers with products and guidance, and is also a honeybee activist, sharing news and links about the dangers of GMOs. Its incredibly healthy and perfectly sweet products are available at your local KWF market. This entry was posted in Farms, Local Story and tagged farm, farm story, Local, local ingredients, local producer, local product, local story, Terry Brett. Bookmark the permalink.